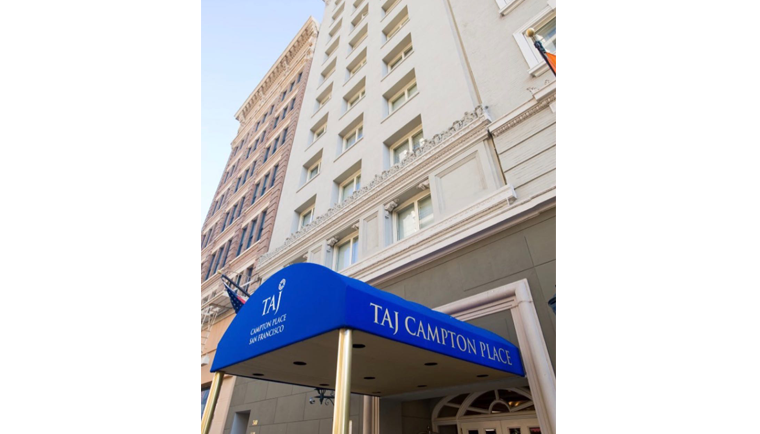 After much deliberation, we shortlisted the Taj Campton Place Hotel, a property with an ideal location, right by Union Square. 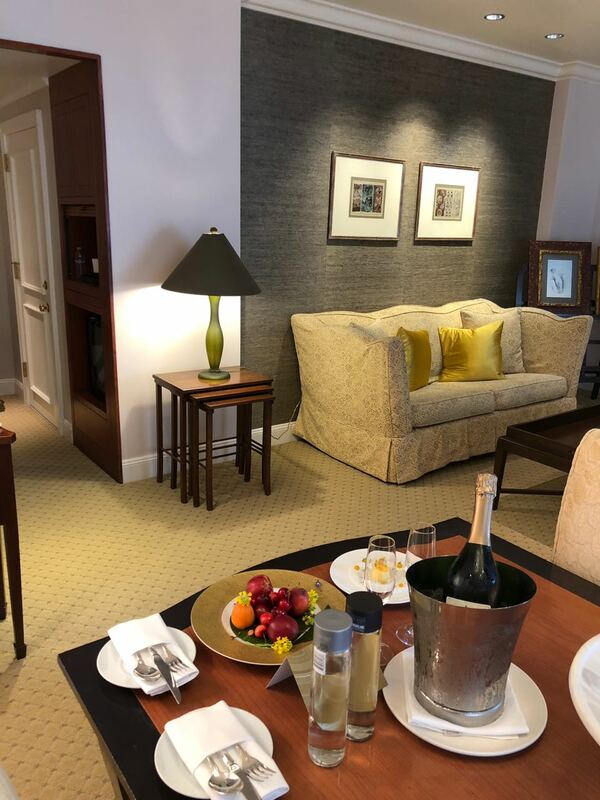 And as for my need for a mix of elegance and sophistication, well, let’s just say the hotel was the quintessential representation of ‘Tajness’ – a brand which so effortlessly ticks off all the boxes for any discerning luxury traveller. It is known, that first impressions are lasting ones and hence the front office staff at any hotel, are usually an indication of the general service standards of a property and brand, one chooses to stay at. At the Taj Campton, we were very warmly welcomed by a soft spoken gentleman, with an amiable smile and impeccable manners. Nick Noble, the front office manager at The Taj Campton, made us feel special from the moment he greeted us and checked us in. And this simple but essential welcome, made us look forward to our stay at the Taj Campton for the next few days. Our room, a rather lovely corner suite, had a home like feel to it. 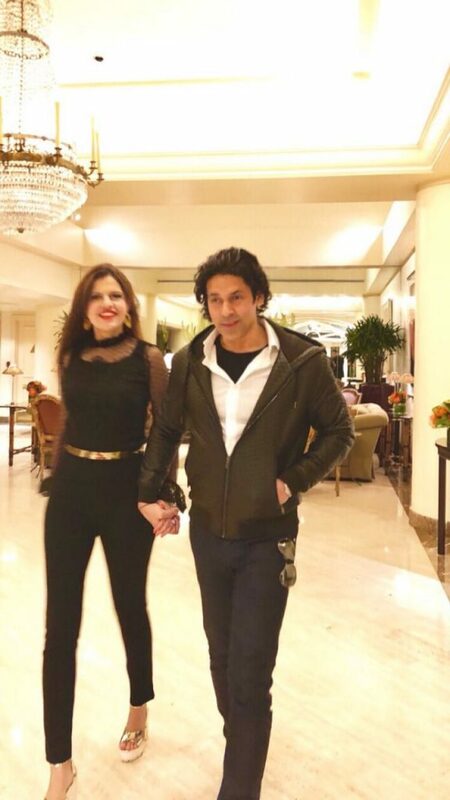 The large living room reminded us of a luxury residential apartment, rather than a hotel room, and both Laveena and I agreed that it was elegantly decorated. The bedroom had a warm and cozy feel and the bathroom was spacious with Molton Brown bath amenities, a brand we both love. It didn’t take us long to settle in and given the comfort of our suite, we were tempted to laze after our long flight from Dubai. But we went out shopping instead and visited some of the well known retail stores in the area like Coach, Gucci, Marc Jacobs, Saks Fifth Avenue and Neiman Marcus. China-town is a short walk from the hotel, as are a host of other excellent restaurants. 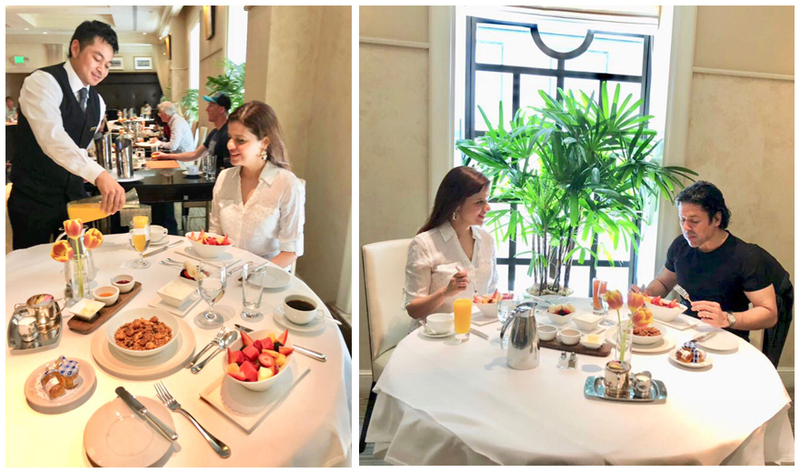 San Francisco is know to be a Mecca for food lovers and our favourites through our stay, were Cafe Claude, Hakkasan, 54 mint and Sons and Daughters, the latter being my favourite. It is an exclusive dining room that seats less than 30 people. Located at Bush Street, the tasting menu at Sons and Daughters is excellent and with the wine pairing, makes for a perfect fine dining date night. A must do while in San Francisco is a visit to Mitchell’s Ice Cream. This iconic place in the Mission, has been around since the 1950s and has some delicious offbeat flavours to tease and excite your palate. Breakfast at the Taj Campton was lavish. Serving our table through our stay was Rom, a young Nepalese lad, who was so very committed to make every meal experience of ours special, that we often ended up eating more than we had planned to. On our daily breakfast menu were home made granola with honey, freshly cut fruits, freshly squeezed orange and watermelon juice and delicious Indian masala omelettes. 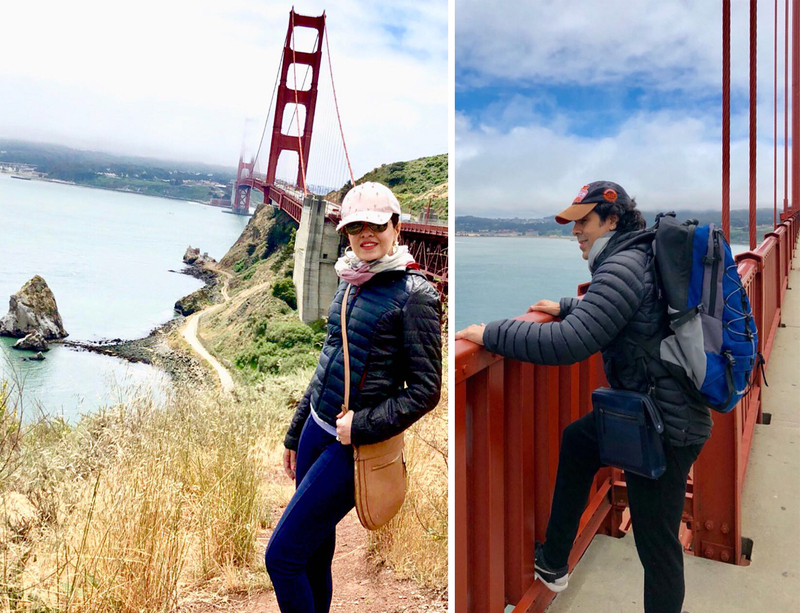 After a wholesome breakfast one morning, Laveena and I walked over to Union Square, from where we caught a cable car to Fisherman’s Wharf, one of the city’s busiest tourist areas. 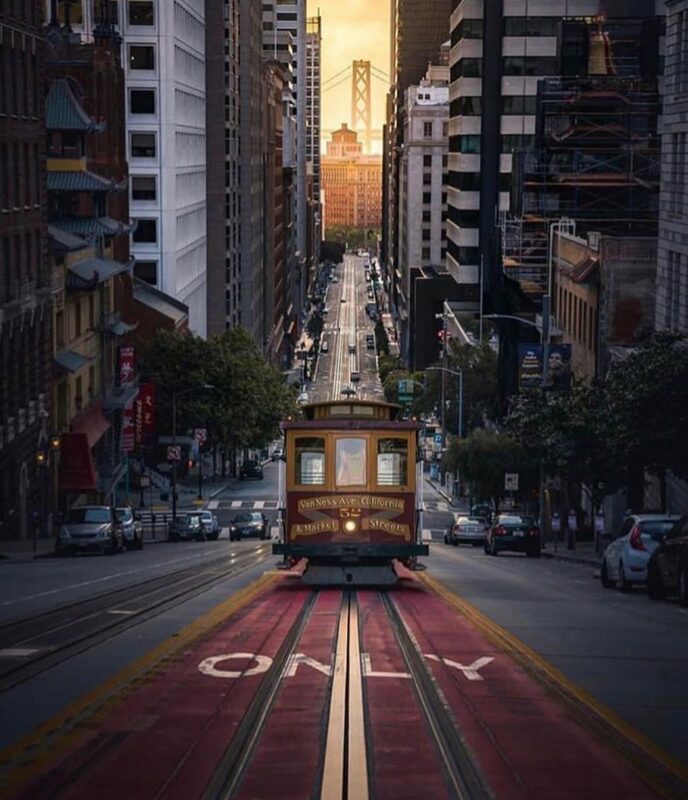 The cable car in San Francisco has been named a national historic landmark and has come to symbolise the city. 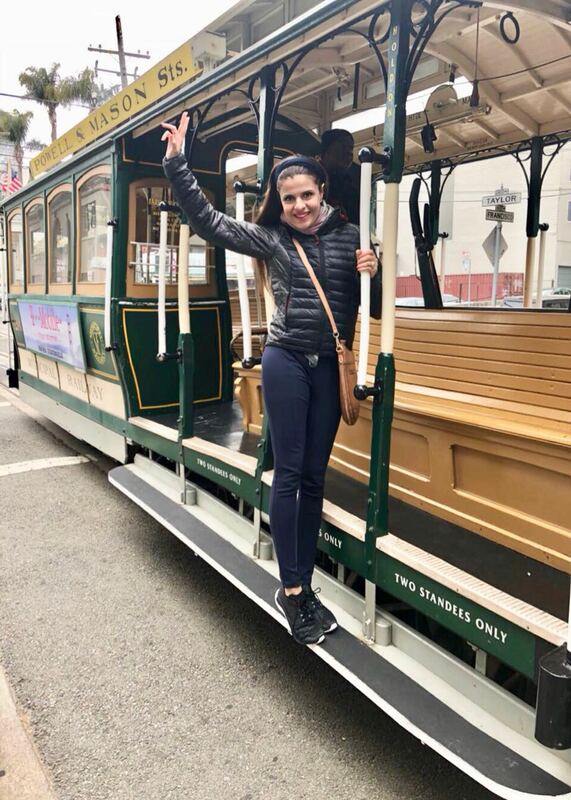 The ride on the cable car was exhilarating, as it climbed up and rode down the steep slopes, criss crossing across fascinating San Francisco. Laveena spotted a flock of large seagulls which along with the all familiar smell of the ocean, signalled that we were near the northern waterfront of San Francisco. 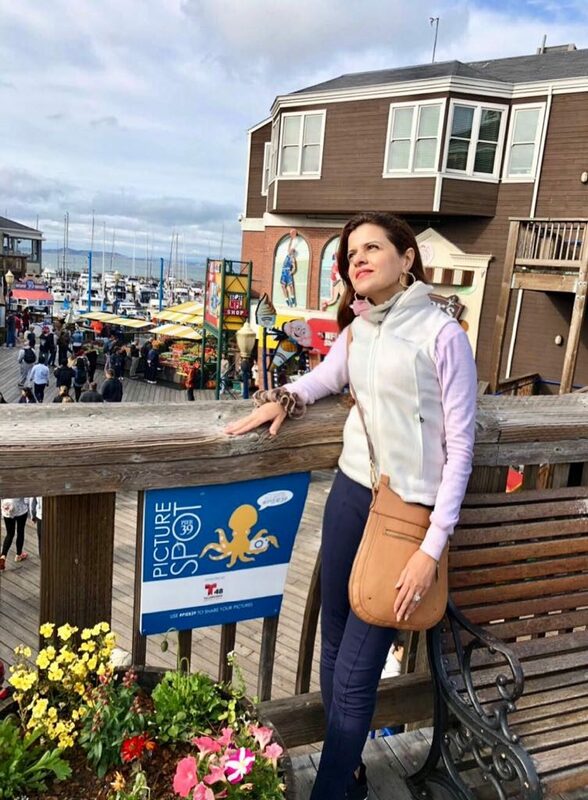 In the old days, the area around modern day Fisherman’s Wharf served as headquarters of the city’s fishing fleet with a total of nearly 500 vessels. Today, the number of vessels are fewer, however the boats we saw, we were told, continue to supply the city’s finest restaurants with fresh seafood. We chose to eat at Alioto’s, a restaurant run by the fourth generation of a Sicilian family of the same name. While Laveena ordered the Arugula and artichoke salad and the shellfish risotto, I tried the famous calamari and the seafood cannelloni. After a hearty meal, we walked along the boardwalk by the waterfront, visited some of the souvenir shops and enjoyed performances by a few of the very talented street musicians. 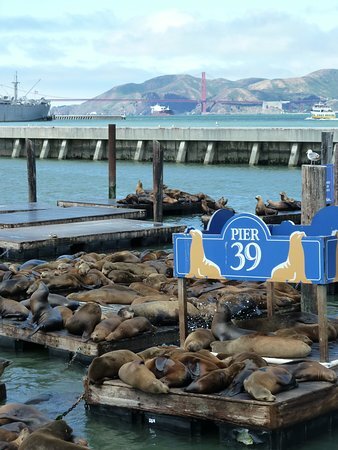 As we walked past Pier 39, we could hear the loud snorting and barking of sea lions. As we neared the corner, we could see delighted tourists crowding to get pictures of the blubbery mammals and we too spent some time, watching them with ample interest and fascination. There are many fun things one can do while in San Francisco. 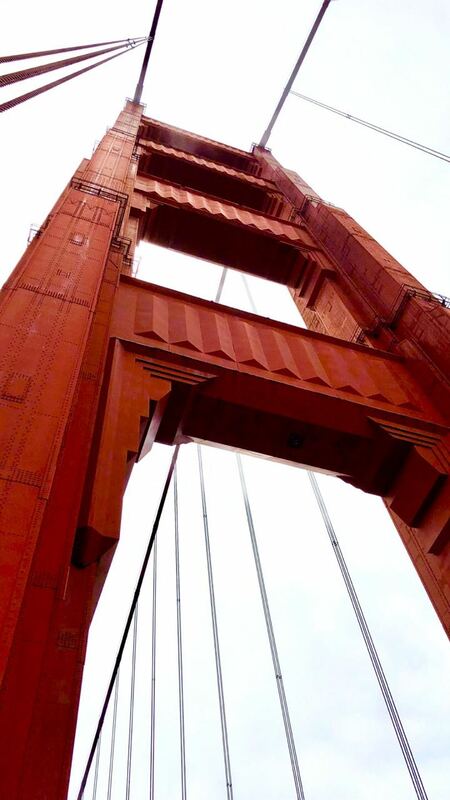 From Pier 39, we headed to the Golden Gate Bridge, a defining landmark in the city, ever since it opened in 1937. The bridge, arches over the Golden Gate Straight (hence it’s name) and connects the city of San Francisco to Marin county. Laveena and I decided to walk across the bridge and before doing so we stopped at the statue of Joseph Strauss, the designer of the bridge. The walk was exciting and the architectural marvel of possibly the most photographed bridge in the world, can be best felt when you’re under the steel suspensions which stand tall at 746 feet. 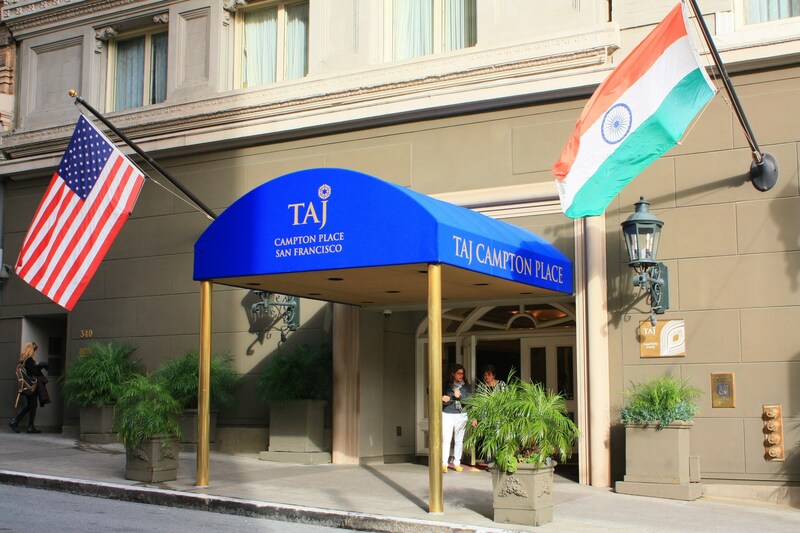 We returned to the Taj Campton, late that evening, happy to be back at a hotel with such a fine location, right in the heart of the city’s premier shopping and entertainment district. 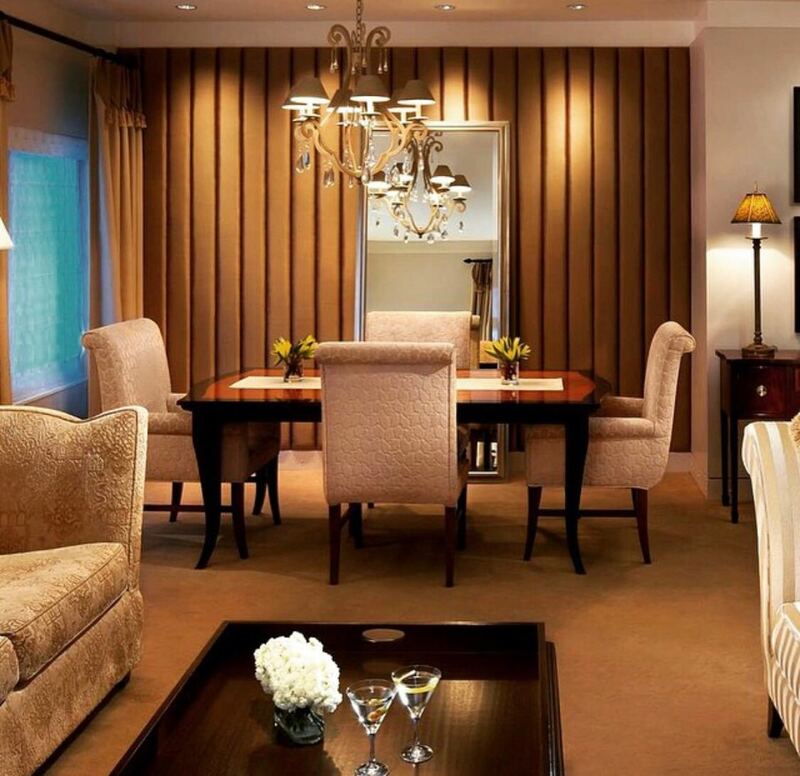 While at the Taj Campton, one cannot help but appreciate how effortlessly the property blends luxury, comfort and style. 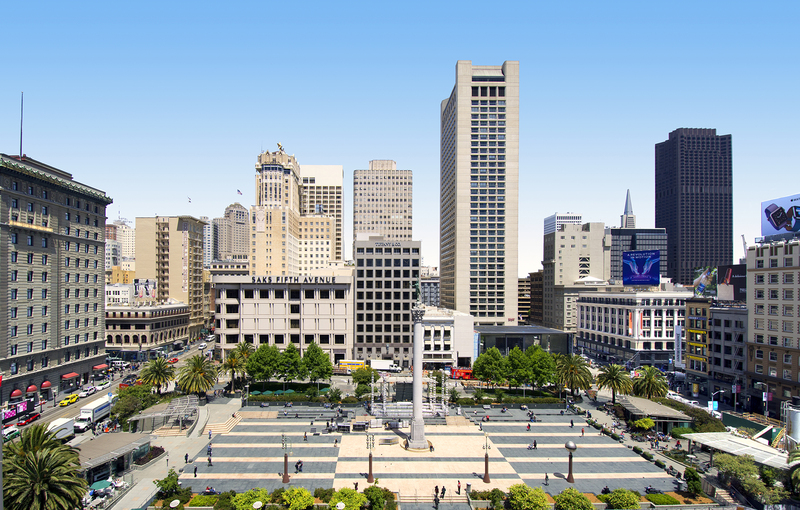 Add to this the impressive service standards Taj hotels are renowned for and you have found your perfect place to stay on your next visit to San Francisco. 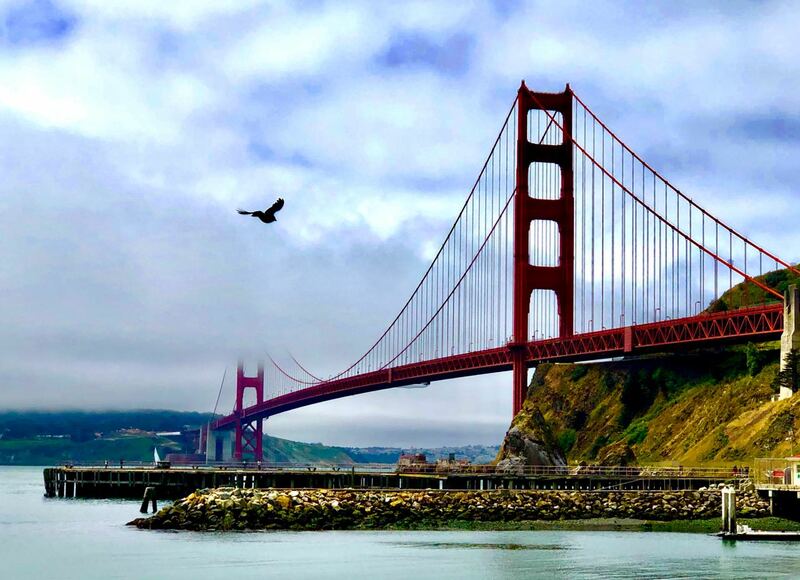 San Francisco is high on my bucket list of places to see. The Taj property sounds like a good option to stay at when in that area. I’ll check it out. What an amazing stay that was. Taj is a synonym of luxury indeed . Getting envied of the royal treatment, lol . Watching sea lions would have been fun. We r planning to go SF next year. Will surely consider this place to stay , now that I already have a glimpse of it through ur post.Thanks for sharing. Taj never disappoints work its amenities and service in any corner of the world. The cable car sounds so much fun! And so do the sea lions. San Francisco is a beautiful place. Taj has done everything possible to give that beautiful luxurious feel. Would love to visit there sometime. Taj crampton hotel looks great. You guys are lucky to travel to such beautiful places and explore them too. What a wonderful experience. Taj is a favourite. So happy to read about your trip and the experience. The photos have really come out well. Wow that’s awesome …loved the luxurious stay. I am saving this detailed review for my travel plans. 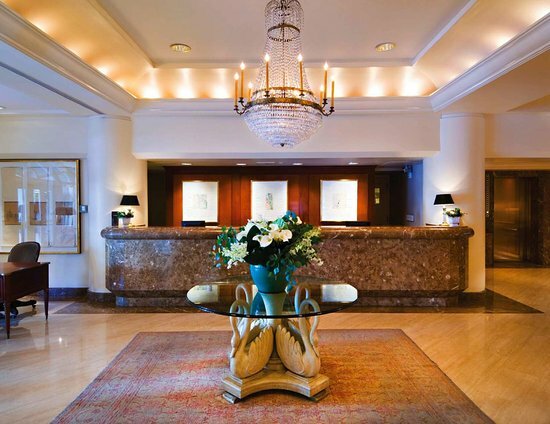 Taj is synonymous with royalty, luxury and comfort and San Francisco is on my must-visit list.